I can search within 50 miles of downtown Seattle and downtown Bellevue, and possibly travel further on a case by case basis. My services are reward based, you decide what is fair compensation for finding & returning your lost item. I charge a $25 call out fee to cover gas and expenses, and a minimum of 2 hours of searching. I can search land and shallow water. I have waders and a waterproof detector if needed for shallow water recoveries. If it's necessary to search on private property, permission of landowner must be obtained beforehand. I am an avid detectorist, very motivated and I enjoy a challenge. I am eager to increase my found ring-count, and help reunite you with your ring! I have unearthed 20 rings in 2016! I'd like to use my passion for metal detecting to help reunite people with their own personal treasures! I often am accompanied by my metal detecting partner, Cyril the treasure hunting Boston Terrier. He can help search or he can stay home based on the search, or your preference. I have three cutting edge metal detectors, so I always will have the right tool for the job of helping you find your valuable treasures. 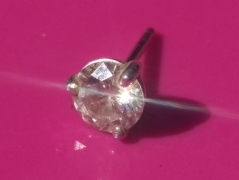 I want to thank you again for finding my almost-undetectable platinum and diamond earring stud! The thing was tiny, lost in my backyard, and barely gave any sound on any of your metal detectors. I thought it was gone for good -- my expectations were low. But you found it, buried among lots of other metal debris, in just under an hour! I will definitely refer you to anyone in need of a little treasure hunting. Thank you so much! "Just when you think recovery is impossible, Jason Anderson came through with a MIRACLE! Don’t give up hope! After slipping into the surf launching my kayak, my wedding band slipped off my finger. I didn’t realize for about 5 hours. Upon realizing and returning to the beach, I found, to my terror, that the place I had launched from was under about 8 feet of water now. In that moment I had all but given up. Nonetheless, I rented a metal detector the following day and spent 3 hours searching. 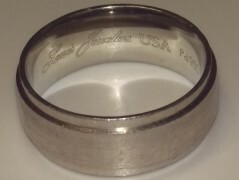 Jason and another awesome ring finder reached out to me for info on the missing ring. The first gentleman was unable to locate the ring (but was incredibly nice and put a solid effort in searching!). Jason was able to go search FIVE DAYS after the ring was lost. After only a couple of hours, Jason FOUND MY RING! I had given up hope after 5 days of high and low tide crashing in and out and shuffling the ring around in the surf. DON’T GIVE UP HOPE! Your item CAN BE FOUND.